Hey, like the Hellraiser film series? 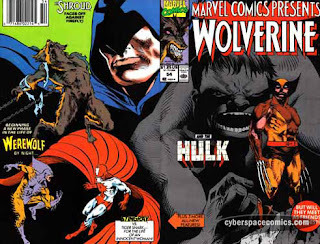 Then you'll love the reference to it in this story of Marvel Comics' Werewolf by Night! Find out all the details in Crossovers Expanded Vols. 1 and 2, my AUTHORIZED expansions of Win Scott Eckert's Crossovers: A Secret Chronology of the World Vols. 1 and 2, due out from Meteor House in 2016!